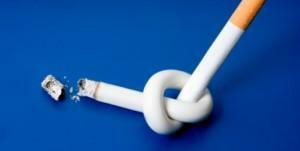 Our smoking cessation program is an intense 2 session package. We explore the reason why a person started smoking and why they continue to smoke. We explain why this habit holds on to and kills so many people. We also explain what happens to the body's physiology when a person stops smoking. *Within twenty minutes: Your blood pressure and pulse rate drop to normal, and the body temperature of your hands and feet increase to normal. *Within eight hours: The carbon monoxide level in your blood drops to normal and the oxygen level in your blood increases to normal. *Within twenty four hours: Your chance of having a heart attack already decreases. *Within seventy two hours: Your bronchial tubes begin to relax and you can breathe more easily. Your lung capacity also increases. *Within one month to nine months: Coughing, sinus congestion, fatigue, and shortness of breath continue to decrease and your overall level of energy increases. Note: Smoking cessation sessions (2) are normally conducted within 24 hours of each other for maximum effectiveness. At Inner Reflections Hypnosis Institute, we take care to provide our customers high quality services personalized for their unique needs. We consider it an honor and privilege in helping you to grow personally and professionally We are available Monday - Friday during normal business hours. Our staff members are professional, courteous and efficient. Ask yourself this question: "Do I eat to become full, or do I eat to become satisfied" ? An extremely important question that you must ask yourself is "Do I really want to lose weight? ", and if the answer is 'Yes', then 'Why?' Make sure you are doing it for you and your self-esteem and health and not a fad.We help you to develop a plan for your weight release program which will help you to achieve your weight release goal. We help you to change the way your think about food and how to use portion control. A typical weight release program starts with hypnosis sessions in this sequence. *Developing an Intelligent Relationship with Food. $150.00 One Session Weight Loss Program. Includes Sensible Weight Loss CD. Prepaid weight release packages come in 4, 6 or 8 session packages. Call or send request for custom pricing. 1.Your phobia may be the product of fear of fear. 2.Your phobia may be cause by severe stress. 3.Your phobia may have been transmitted to you by another person. 4.Your phobia may be a result of a past trauma. 5.Your phobia may be a result of a series of of experiences, which have built up into excessive anxiety. Payment is due at the time of the session. We accept cash , checks,money orders and most major credit cards. The cost of your Initial Hypnotherapy Session is $110.00. Subsequent Sessions are $75.00. Most sessions will last up to 1.5 hours, please allow yourself a little extra time as the session is over when it is complete. Discounts for prepaid hypnosis packages. If you have any question concerning our fees for service please contact us at your earliest convenience. Our friendly staff will help find the best solutions for you.